‘Twas the Night Before Secret S.O.A.P.ing and all through the house…. In June I signed up for the Soap Challenge Club for a 3 month period. 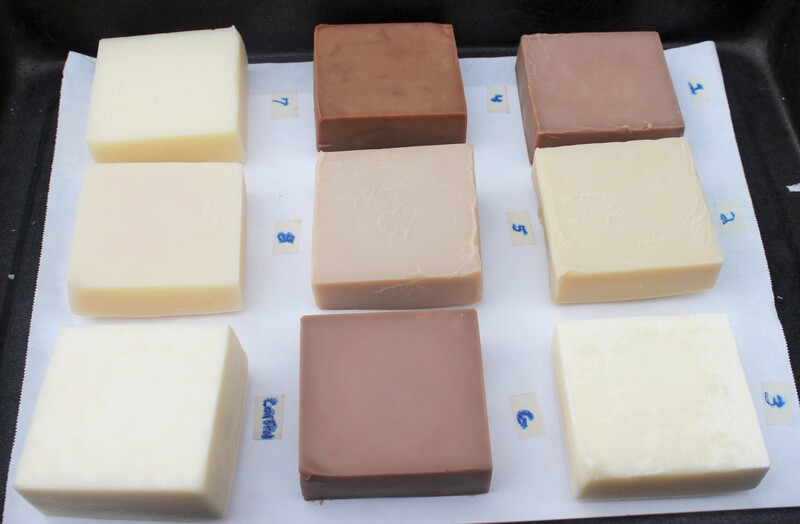 Each month the very talented Amy Warden of Great Cakes Soapworks sends out a soap challenge, complete with a video of her making her soap for this challenge. As a soaper, I am always looking for new ideas and inspiration so I thought this would be a great way to learn some new techniques and stay inspired. For the month of July I just sat back and watched. Partly because I wanted to see what everything looked like before I jumped in, and partly because I just couldn’t wrap my mind around the soap challenge theme of embracing opposites. Every idea my brain came up with seemed either overdone or too far out of the box. I was blown away by the entries with my favorite being a fire and ice type opposite with really cool swirls and striking colors. 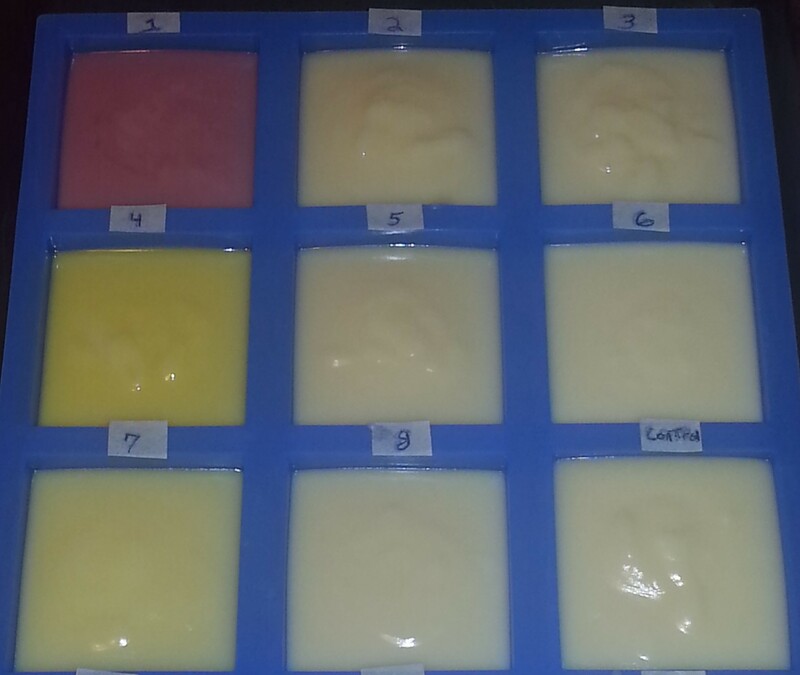 So today I am submitting my first challenge soap! This month was about a new technique involving marbling and the mantra swirl. 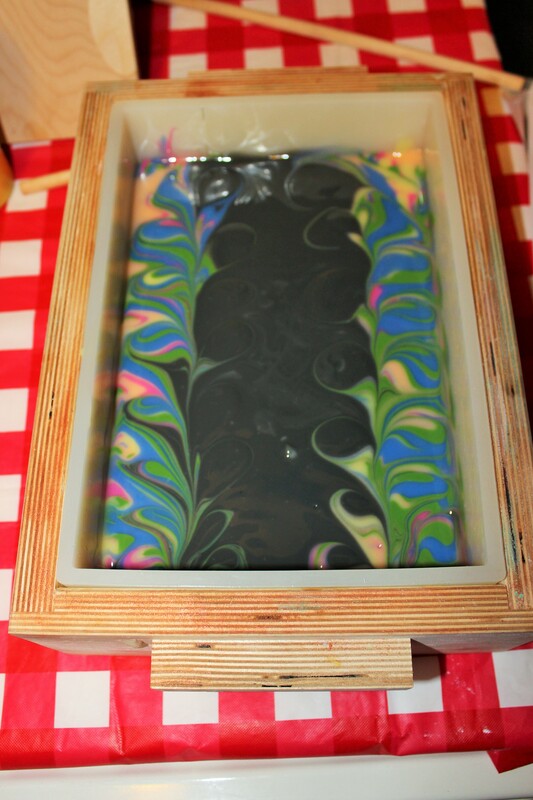 From the beginning I knew what colors I wanted for the marbling side of the soap, and I even knew what fragrance oils I wanted to use. What I couldn’t decide was if I wanted to use white or black as my solid color. My husband, being the brilliant minded man that he is, said, “well you won’t know until you see them both so just make them both”. Both? Immediately I began making a mental tally of the time it takes for setup, and clean up on two batches with multiple colors and I don’t even had two slab molds! However, he was right. I knew that I could not possibly decide until I saw both soaps. The first soap I made was with Black. I used one of my many Bramble Berry molds, the 9 Bar birchwood mold with silicone insert. The second soap was made with white as the solid. With no second slab mold I started looking around the house and found a USPS box that made a perfect slab mold size. I cut dividers from foam board (have I mentioned I LOVE the Dollar Tree?) with my new Exacto type knife since I do not have any divider sets. 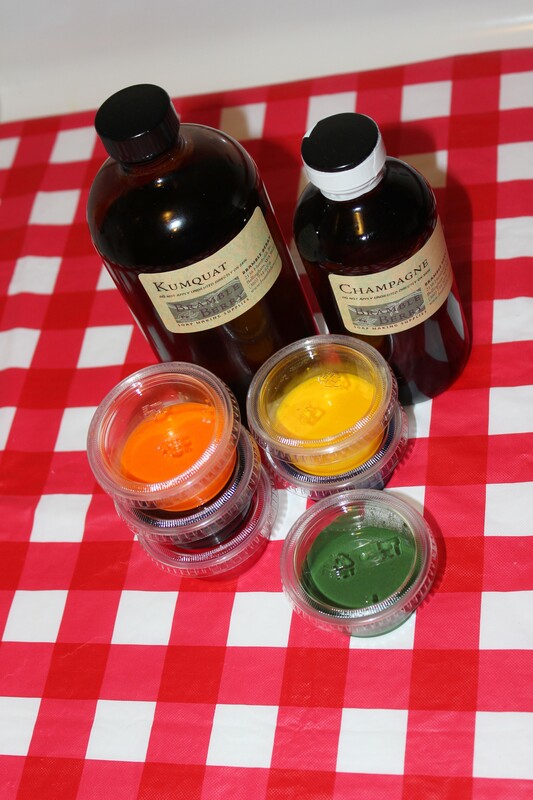 For my colors I used all Bramble Berry colorants: Electric BubbleGum for the pink, Tangerine Wow for orange, Fizzy Lemonade for yellow, Green Chrome Oxide for the green and Ultramarine Blue for the blue. For fragrance I used a blend that is super well behaved and perfect for swirling, Bramble Berry’s Kumquat and Champagne fragrance oils. Yes, Bramble Berry is by far my favorite supplier (and source of inspiration!). I chose to do the striped marble technique which involves making lines with a squeeze bottle before doing the mantra swirl (figure 8’s) down the solid/marbled line. I will eventually try the other two swirl options but for the challenge this is the style that I chose. 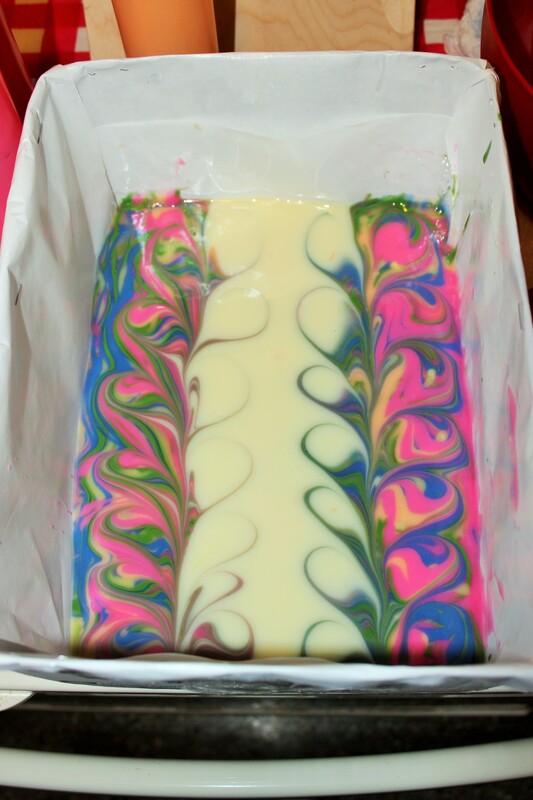 I used a thick skewer to make the mantra swirls because I liked that way it dragged the marbled soap into the solid soap better than the thinner utensils used in the other swirls Amy had made. Unfortunately, the black soap was not ready to pull out of the silicone mold at the time I was ready to cut and take pictures. As it turned out though, when I looked at both soaps, the white was my favorite as it showed off each of the 5 colors better. So which one did you like best? Below was my soap entry this month. I admit it. I am completely 100 million percent addicted to all things soapy. 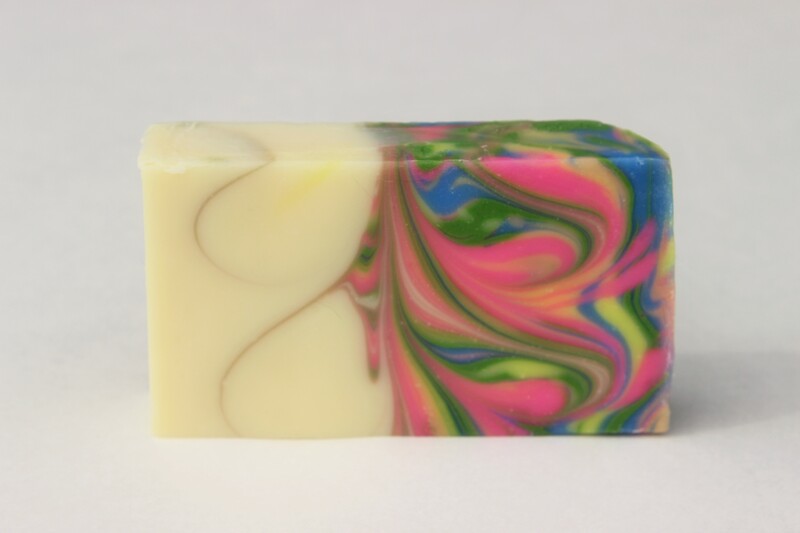 I often fall asleep thinking about new soap designs, and color or fragrance combinations. Last night as I was trying to get some work done on my laptop, my husband was playing Assassins Creed Black Flag on the TV. I started sketching a picture of a new soap that I have been rattling around in my head. Watching the ships on his pirating game was a great way for me to bring those ideas to life and figure out how in the world to begin to design a somewhat complex design that has until now only been in my head. That is what happens when you live and breathe soaping. Another prime example is tonight’s trip to Dollar Tree. I love Dollar Tree because everything is actually only $1. Most dollar stores only have a few items for a buck and the rest is well over that. Not Dollar Tree baby they are $1 for everything and sometimes things are less than that! Tonight I had to stop in to get some green tea for a new recipe I am getting ready to make from my soaping idol’s new book, Soap Crafting by Anne-Marie Faiola of Bramble Berry aka the Soap Queen! I am a member of a three month subscription to the Soap Crafting Club, a genius marketing plan where Bramble Berry sends you one mold at the beginning of the three month period that you will use for each of the three months of the club. 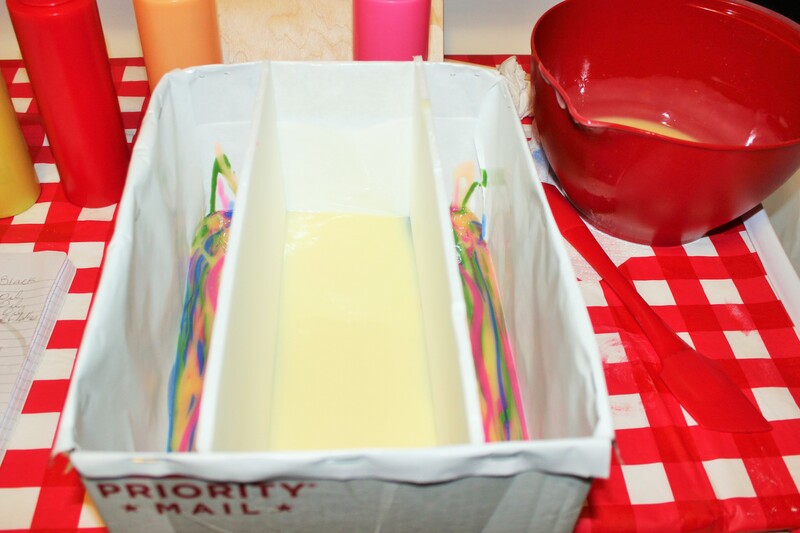 Each month you are sent pre-measured ingredients to make one of the recipes in her Soap Crafting book. See? I told you it was genius marketing. Whoever came up with that idea deserves a big raise! The Soap Crafting Club subscriptions have gone on for the last year and we are all waiting with our breath held on news of a new 3 month subscription. The only thing keeping us from really losing it, is the November launching of a new Bramble Berry company called Handmade Beauty Box: DIY Delivered. 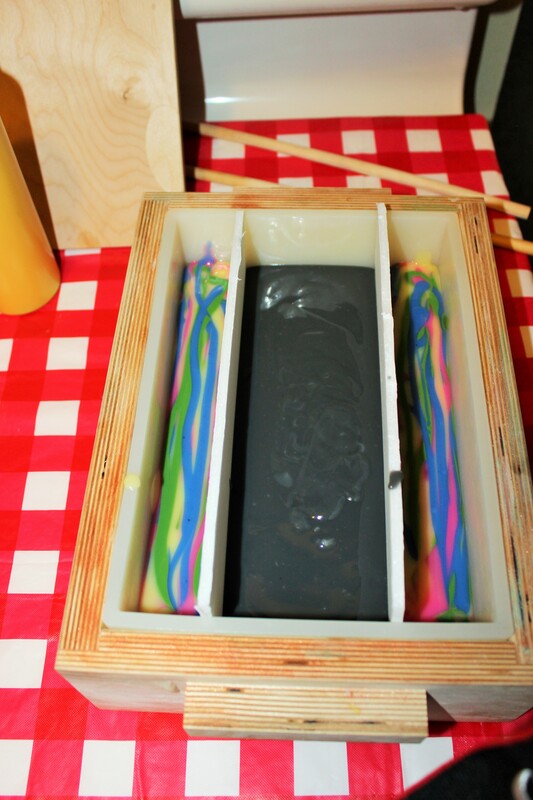 Yet another ingenious idea where each month you get a new DIY bath or beauty project. Here’s the kicker, you don’t know what the new project will be until you get it! How exciting is that?!! Its like Christmas morning every month! See? $2 and they are nicely displayed so everyone can sniff them when they come see me! A set of salt & pepper shakers for sprinkling glitter on new soaps. I realized I really needed this after my daughter and I both got glitter everywhere last weekend just trying to sprinkle it on one soap loaf, lol. A 4 pack of 2 cup plastic bowls with lids: For measuring out the lye. Sometimes I want to measure out more than one batch at a time so I can have more than one pitcher of lye water cooling at the same time and I wanted bowls with lids that were not too big but were big enough to hold my typical amount of lye for a single batch. New scruby brush just for soaping because I normally just use a paper towel but would prefer to use a brush instead and I don’t share soapy utensils with the kitchen. it even has a scraper on it!! Two new double sided (and RED to match my kitchen!) Betty Crocker spatulas: These are nice and sturdy and you can pull off both ends for better cleaning. Plus one side is smaller than the other so I can get into the smaller places when needed. 3 two spoon sets of stainless steel spoons. After testing all of the Bramble Berry fragrances recently, I realized that I REALLY need to invest in lots of soapy spoons. Plastic 2 cup measuring cup. I want to be able to make some tiny 1 lb batches in my favorite 1lb silicone mold from Bramble Berry and I needed something small enough to be able to use the stick blender without making a mess. And of course, the green tea for my soapy project! 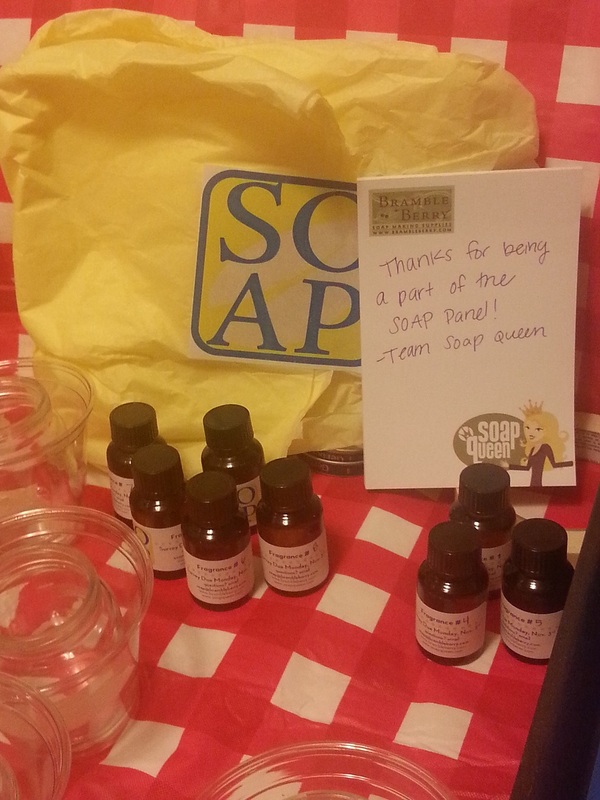 Check in soon to see how my S.O.A.P.y scents are doing in the melt & pour testing! 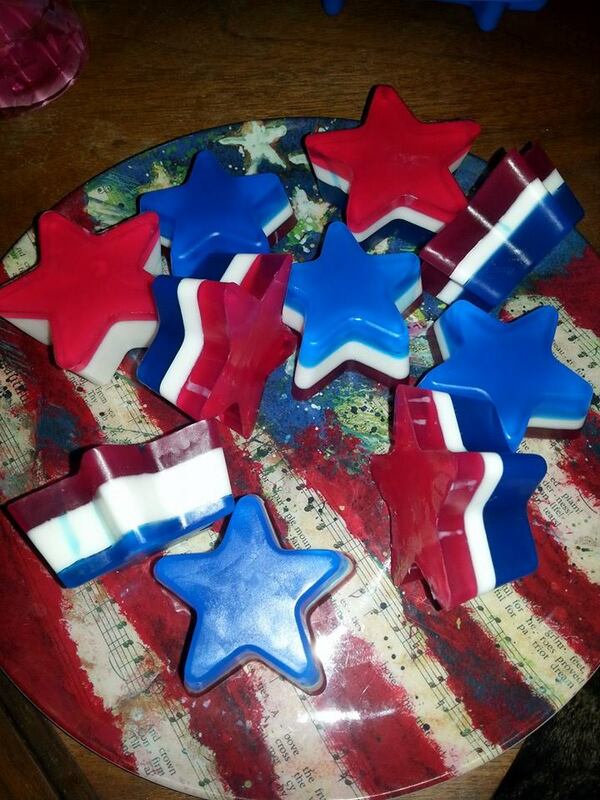 I was not surprised last weekend when I unmolded all of my new soaps I made and scented with the Bramble Berry S.O.A.P. panel secret scents and realized some were discolored. Just from smelling them I could tell that some contained enough vanilla to cause a color change. At 8 Days old I took the following picture of all of the soaps and recorded the following notes on how the scents have changed. #1. Apple Pie!! And not just any apple pie. Apple with the scrumptious brown sugar, butter and cinnamon crumb topping! It smells like fresh out of the oven Dutch apple pie. VERY yummy, and VERY dark brown due to the high vanilla content that gives this fragrance such a scentalicious (another Soapy Starfish word, lol) smell! I would definitely buy this one for soaping. I would just have to design the soap around the dark discoloration. The scent is well worth the extra designing time involved. #2. Clean guy smell. Woodsy, and I smell more pine now than I remember smelling before, but to be partial I have purposely not looked back at my 1st impression notes so they don’t taint my 2nd impressions. I am not 100% sold on this scent now. Maybe if paired with something spicy to give it something extra. #3. Roses. Lots of Roses. This is a very simple rose scent. I personally do not like the floral scents, but as florals go, this one is simple enough to be nice for those who are just looking for rose alone or to blend with something else. If you like rose scent you would love this one. And I no longer detect the scent of lemon furniture polish, thank goodness. #5. Ahh, my luv, I have found you at last! I didn’t think it was possible for you to get any better, but you have surprised me! Your smokey notes have lessened, allowing for the wood scent of the sandalwood to really come through and the patchouli is just a beautiful addition to your perfection. Like glitter on a cupcake soap, it makes you shine!! I cannot wait until you are cured so I can keep you all to myself. Xoxoxo… Seriously though, this scent is AMAZING!!!! It is sensual seduction wrapped up in an exotic scent that is sure to be a hit with both men and women. I think I am going to have to bring this one to work with me so I can smell it all day long. 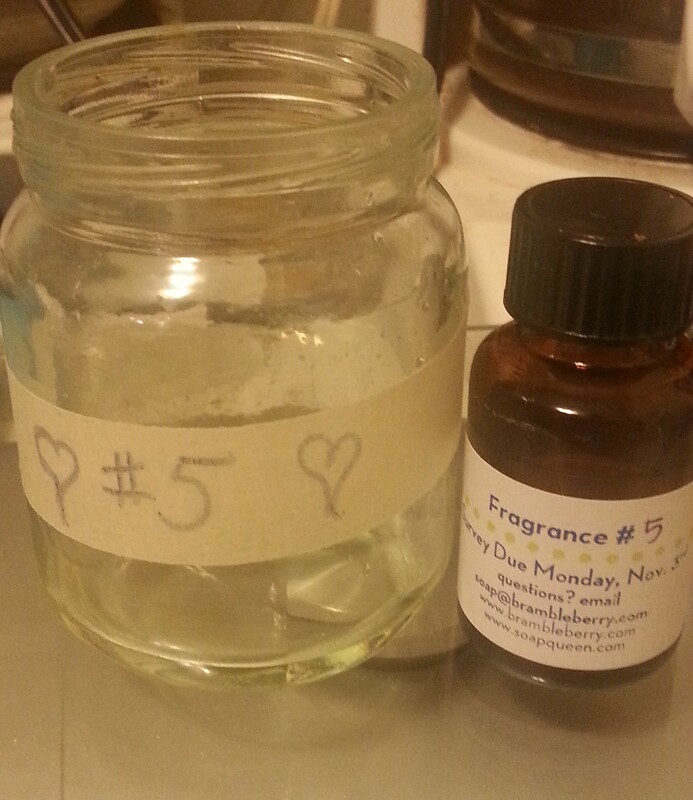 This scent did discolor to a dark tan, but nothing that isn’t workable design wise. #6. I was actually surprised to see how darkly this scent discolored. I don’t detect anything vanilla based. However, there are some warm musky spices there in the bottom notes and my guess is that is where it is coming from. The first thing I smell is the cedar wood which is quite addicting actually. My husband doesn’t know it yet, but he will indeed be using this soap as soon as it cures! Luv this one! It is a very nice guy scent. #7. This scent was one of the least discoloring ones. It is a softer fruity note. It isn’t juicy but rather a more mellowed fruit, almost overripe. It is one of my least favorite of the 8 for sure. In fact if given the choice between the #3 rose soap and this one, I would likely pick the rose instead. Its like I can tell it was trying to be something, but it just didn’t get there or else saponification killed it. #8. Ahhh yes. I have figured out finally what this reminds me of. Even more now than when freshly poured or out of the bottle. It smells just like a peach wine cooler. I smell ripe peaches and something else. But I also smell something bubbly, carbonated, like champagne. It is actually very nice. It is a fruity sparkling scent that would go nicely alone or paired with something else like a single scent. And since it discolored only mildly, the design possibilities are endless. So just to recap, I am still in love with #5 and #1 is pulling in at 2nd place with #8 rounding out the top 3 favorites (followed close by #6). #7, #3 and #2 are definitely in the least favorite category. I have been having so much fun doing these tests that I have decided to start testing all of my Bramble Berry scents for cold process. Keep your eye on the blog for future postings. I am expecting a new package this week of scents that I will test next as I continue working on designing Christmas soaps. 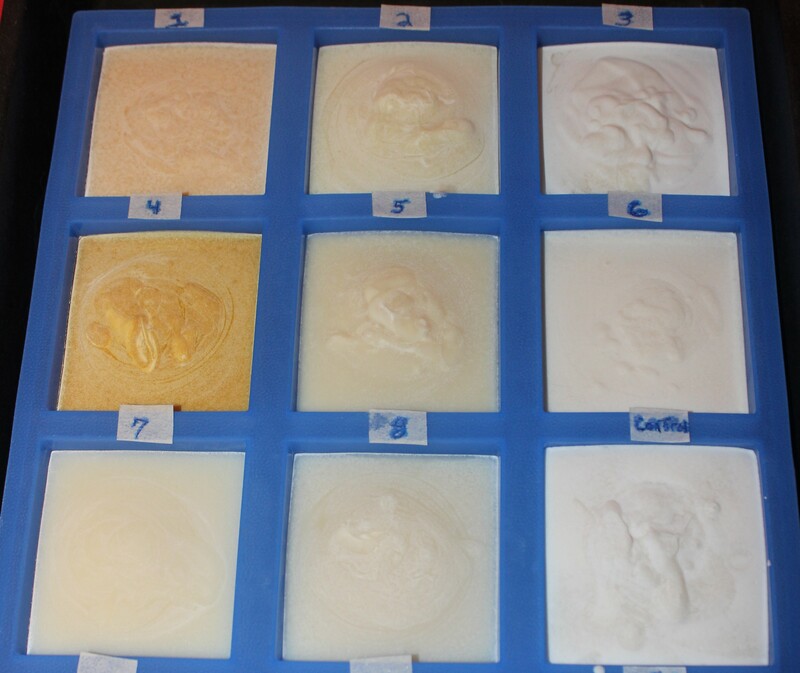 In the meantime, the next round of tests are melt & pour. Since I make both MP and CP soaps I wanted to be sure to check them both. Some scents that die a harsh death in CP process will hold really well in melt and pour so I am excited to see how they turn out. 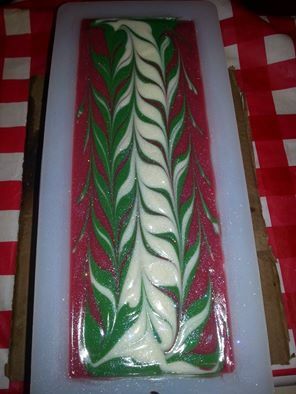 Well I am off to go work on a new CP soapy project, I can’t decide if I want to attempt, yet again, to master the Column mold, or put my lovely 9 bar Birchwood mold to use again with Christmas colors. 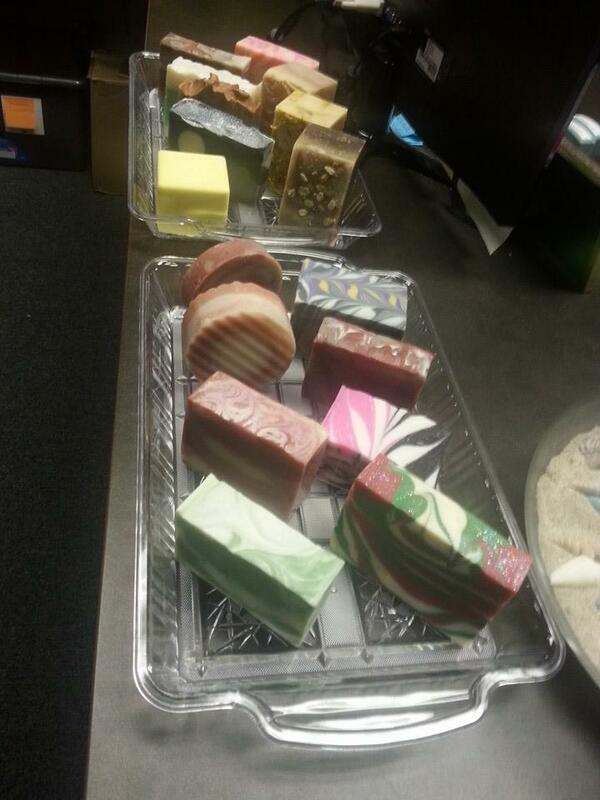 Ah, decisions, decisions… In the meantime, I leave you with my latest new soap. My 1st Christmas soap this year! 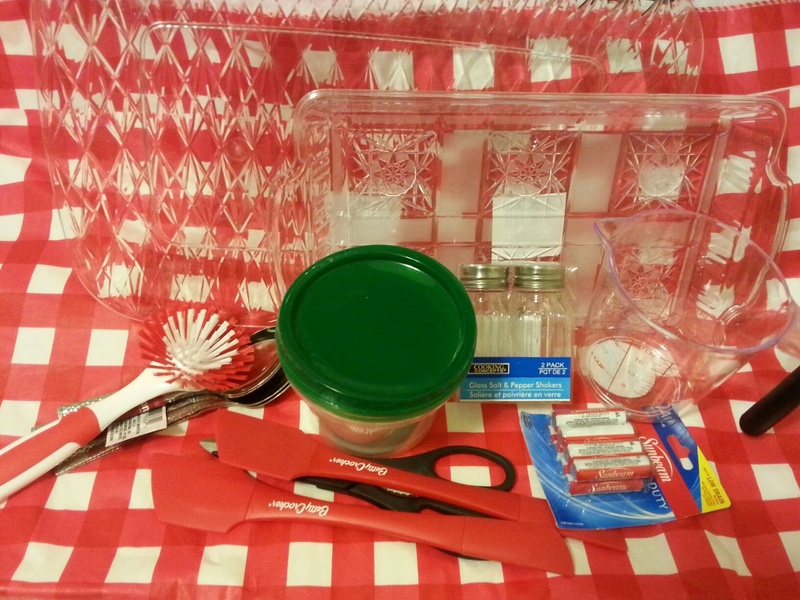 I used one of my favorite molds, the Bramble Berry 10″ silicone mold. they really do have the BEST molds out there! By the way, if you are looking for the perfect Christmas red for your soap, check out this Soapqueen blog. These are the colors I used for the pictures soap below. This was my 1st attempt at the Tiger Swirl (of course I swirled the top, I am a swirly addict, lol) so I cannot wait to cut into this later this week. As expected, I came home to my favorite cardboard box on the planet! The Bramble Berry box. 🙂 Inside were 8 little bottles of amazing super secret scents for me to try to identify and test out in things I make. #1 – Buttery popcorn was the 1st thing I smelled. 2nd whiff made me think of buttery popcorn with a caramel drizzle. And wait, what is that? a 3rd sniff detected a faint smell of something sweet and fruity, almost like Trix cereal. Silly Rabbit… Strange for sure, but I still kept smelling it every time I passed by the bottle last night. #2 – Fresh & Clean. Oddly it was cool and warming at the same time with a crisp clean woods smell and a slight warm spice undertone. Hard to describe, but I like this. It is masculine, in a Irish Spring kind of way, but not too masculine to keep me from using soap that smelled like this. The guys in the house would like this scent. #3 – Roses. And Lemon furniture polish. Not too keen on this one. So far it is my least favorite. But then again I am not a big floral scent person so that could be why. #4 – Cherries! Sweet, Juicy and blended with another more ripe fruit undertone. Nice. #5 – Ok, Its possible I am a bit partial to this one… Smokey sensual sandalwood beautifully blended with patchouli, but not in an offensive let’s go hop in the VW Bug and take a ride to the 60’s kinda way. This scent is just groovy baby….. ahhhhhhh… No.5 be a good little scent and behave so everyone will love you and I can buy you in BIG BIG bottles from Bramble Berry soon!! #6 – Woody? Cedar? Yes! Like walking down the Lumber isle at the local Lowe’s or Home Depot store. Or even that yummy smell when you first open the bag of sealed cedar woods chips for your hamster’s cage. I like that its not in your face woodsy. It is nice and I think it would blend well with other scents to make something really amazing, but would also be really nice all by itself. I hope it survives saponification. #7 – Fruity. Ripe peaches, nectarines, plus a sweet soft floral. There is definitely a slightly overripe scent thrown in there, sort of like papaya or guava. But together they all blend well. I really do not like florals, but this one isn’t strong enough to bother my sensitive nose. #1 Immediately turned a deep pink, almost burgundy color. While #4 turned a beautiful citrus yellow. #7 turned to a lighter buttery yellow color. #2 became a medium tan color while #3 & #5 behaved well enough and only slightly turned a light tan color.#6 & #8 stayed true to their color and did not seem to change at all. The #1 really pink soap has lightened to a very pale but still pink color. The very yellow #4 has mellowed as well but is still yellow with an orange hue now. I am off for the weekend to soak up some sun on the beach with the hubby & kiddos and enjoy a belated birthday celebration for my oldest and youngest who share the same birthday of September 14. I will unmold the soaps when we get back. Until then, enjoy your weekend!! There was great anticipation and SQUEEEEELS of delight! I found out last week that I was chosen to be a panelist on Bramble Berry‘s Secret S.O.A.P. panel!!!! I posted all over Facebook the day I found out but am just now getting around to posting on my blog. Words cannot say how excited I am that they picked little ole ME out of all the applicants for this special group!! I checked on my super secret scents package tonight. I have resisted the urge to check on it sooner because the more I check, the more impatient I get. So tonight I hopped on and low and behold, my package arrived safe and sound into Orlando this afternoon!! Somebody’s gettin’ soapy tomorrow night!! The first thing I am doing after I give each bottle a good sniff is to test them all in a CP soap recipe. When I do that I am checking to see how the scent holds up through the process of saponification, how the color does or does not morph, and how the fragrance oil behaves while soaping with it. I believe that I only get 1 ounce of each scent to play with so I have to use it carefully in order to get to do everything I want. So tonight I am gathering my information and getting things setup to do some soaping tomorrow night! I will post pics and my initial review of the scents after that. 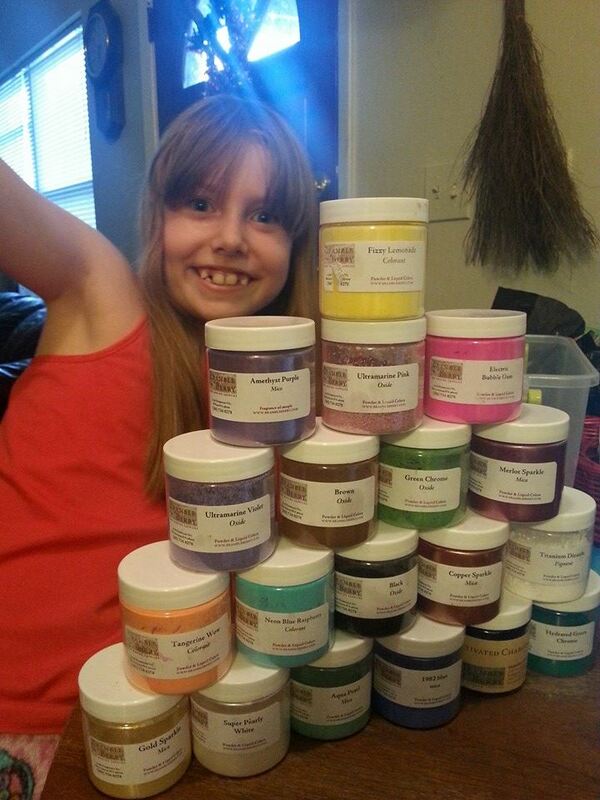 In he meantime, I will leave you with a cute picture of my daughter, Emma next to our Bramble Berry tower of colors! And we have more colors ordered and on the way! Don’t forget to visit my online shop or my Facebook page. I have a full-time day job. That pays the bills. But my passion is soaping. 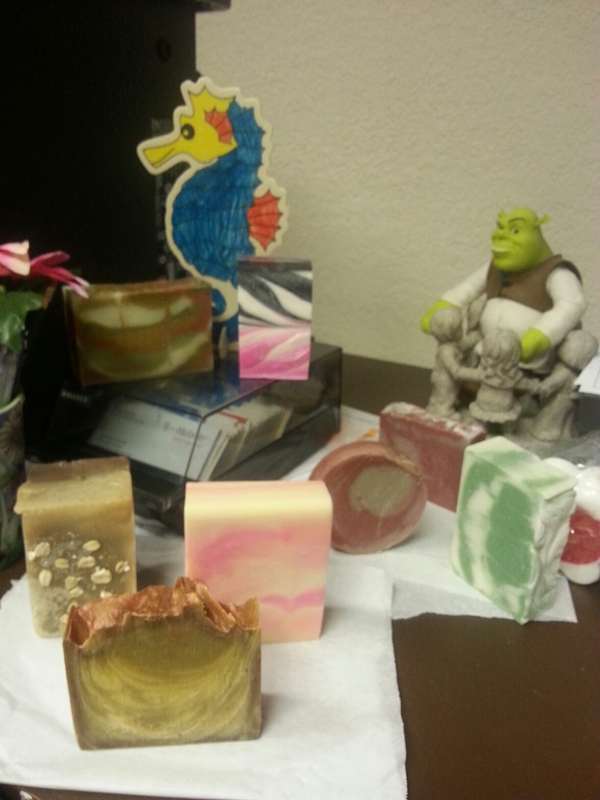 So as a way to remind me of all the good stuff in life over and above the 9 to 5 grind, I bring a slice of each new soap to my office as soon as it is cut and on the curing rack. It is starting to stack up these days and I really need to find a better way to display my soaps for my own enjoyment. I’m not complaining though. It makes me happy to look over and see my beautiful creations sitting there. Wish me luck as I start my own business doing something I absolutely love! ! My favorite supplier of all things soapy, Bramble Berry http://www.brambleberry.com, is actually running a contest to pick their new S.O.A.P panelists. The winners will each have a box of 8 secret fragrance oils sent to them to review and give options on. Personally I would LOVE to be chosen because I would like to try them in both cold process soaps as well as some melt and pour projects or maybe some new body butters or lotion bars! Oh, the possibilities are endless!! If I had to choose just one item as my favorite from Bramble Berry, it would have to be their Coconut Citrus Sorbet fragrance oil http://www.brambleberry.com/coconut-citrus-sorbet-fragrance-oil-P3693.aspx, or Pina Colada as I call it! I made body butter for myself, my neice and a coworker and the stuff smells so good it makes you want to put a straw in it and slurp! 🙂 Wish me luck on getting picked for the S.O.A.P. panel! While I had planned to soap up a storm on the cold process soapy front, I ended up not making a single CP recipe. 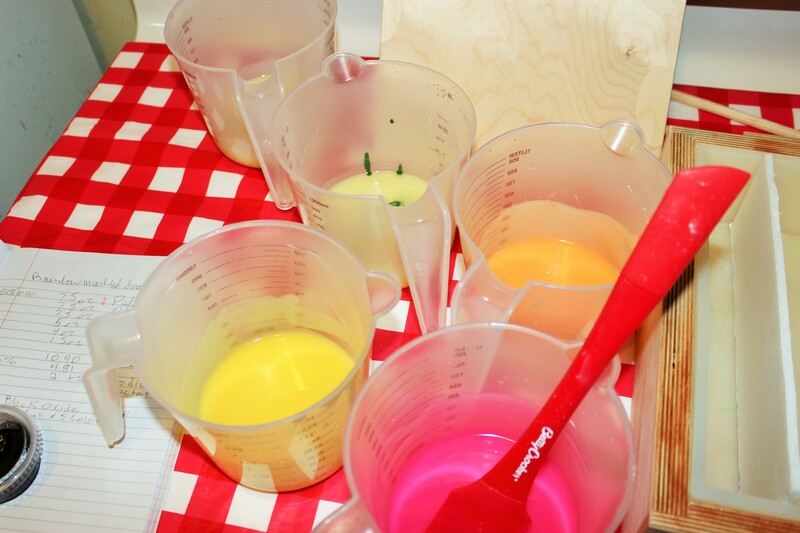 However, I did manage to make lots of really cool melt & pour soaps, along with trying a new item out, soapy sugar scrubs!! Oh the joy and wonders of sugar + mp soap + some oil and fragrance! I was in exfoliation heaven and cannot wait to make another batch! I will post the recipe when I am able to post pics of my heavenly sugar scrubby cubes. 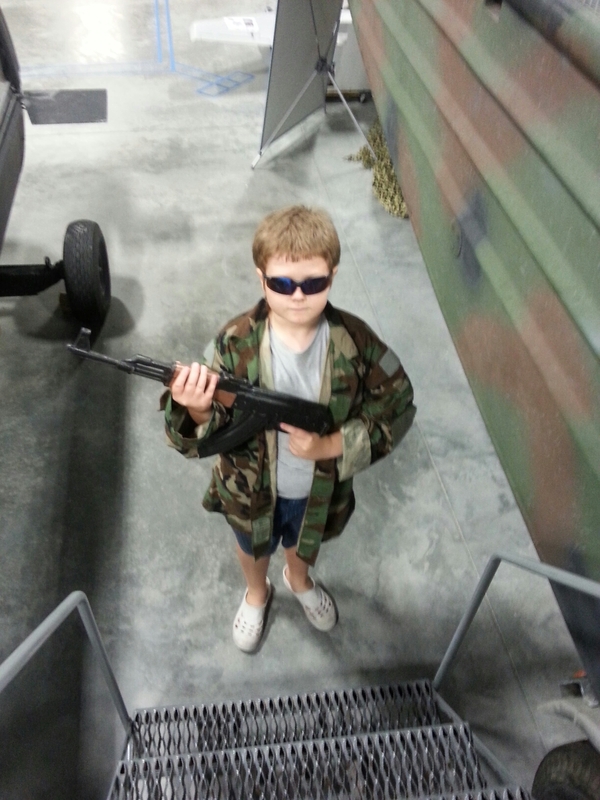 Until then, here’s a pic of my aspiring marine.